If you are you new to using herbal medicine, there are several resources to help you become confident and proficient in using herbal medicines. These resources are not associated with any particular brand of herbs, including the Natural Path Herb Company, but they offer exceptional educational content, and will equip you to use herbal medicine effectively, no matter who you buy your herbs from. CIVT offers everything from complete certification courses to one or two hour webinars on a wide array of disciplines in integrative medicine, from herbal medicine to acupuncture. They offer not only distance-learning opportunities but host in-person seminars and courses all over the world. 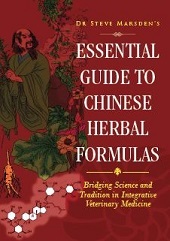 A Time to Heal Herbs offers in-person training courses in Chinese medicine to both beginners and advanced practitioners. Learn to practice herbal medicine in beautiful Vermont!